Recently, someone very dear to me ended up in the hospital where she was told that she has Type II diabetes. I know that this disease is on the rise, but somehow when it happens to someone close to you, it goes from being an abstract statistic to a personal reality. One of my first thoughts after I heard the diagnosis was that her life has changed forever. She may need to take medication, in some form, and she will need to monitor her blood sugar carefully to maintain the right balance of insulin and blood sugar through diet and lifestyle. In addition, a diabetes diet isn’t just about not eating sweets. She will need to eat at regular intervals and be aware of the fats, carbs and proteins of the foods she eats. She will need to get regular exercise and maintain a healthy weight. She will need to sleep regularly and manage the stress in her life. In other words, her health and well-being will be based on how successfully she balances all these components in her life while pursuing a diabetes diet. As all these thoughts were racing through my mind, I had a sudden epiphany! 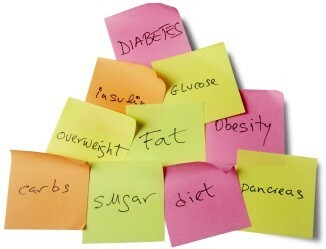 All of the diabetes diet recommendations that I was thinking about for her apply to me, too—in fact, to all of us! The big difference between her and me is that she will need to balance her insulin levels manually, herself, with the help of her doctor, while those of us without diabetes can rely on our bodies to manage that important job for us. We take for granted that our bodies will keep working in the way we expect, but the truth is, we all need to eat at regular intervals, be aware of the fats, carbs and proteins of all of the foods we eat, get regular exercise, maintain a healthy weight, sleep regularly and manage the stress in our lives. Because our bodies are miraculous organic machines, we do have some margin in our lives for neglect, especially when we are young. We can overeat, under sleep, over stress, etc. and our bodies forgive us, make the adjustments, and go on. But only up to a point. As we age, that point gets closer and closer. Eventually, there is little or no margin left, and we have to toe the line or our bodies will fail. For a person with diabetes, whether due to heredity or lifestyle or a little of both, this moment may arrive sooner. It was probably easier to keep balance in our lives when meals were mostly eaten at home, fast food and empty-calorie snacks were not commonplace, and television and video games did not play a large part in our children’s lives. In those days, perhaps a healthy diet was not so difficult to maintain. 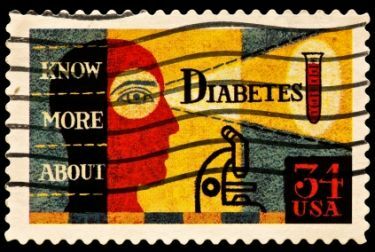 Having said that, I should point out that one of the grave concerns we have as a culture is that Type II Diabetes is no longer a disease of old age. It is happening to people at a younger and younger age. This is partly due to the increased incidence of childhood obesity, and partly due to our food supply and sedentary lifestyles. Just in case you don’t know what Type II diabetes is, here is a simple little primer. When you eat food and it digests, much of it is broken down into glucose, commonly called blood sugar. As the glucose enters your blood and is traveling to the various cells in your body to give you energy, etc., your pancreas releases a hormone called insulin that (among other things) signals your cells to receive the glucose, it goes into your cells, and all is well. However, if your cells become resistant to the call from the insulin, such as in the case of obesity or family history or both, the glucose cannot get into the cells, and your pancreas will try harder to produce more insulin. Eventually, the pancreas may become exhausted and will not be able to meet even your minimal need for insulin. So now you have cells that are resisting the insulin and, at the same time, not enough insulin to trigger the cells to accept the sugar—a double whammy! Since it is not getting into the cells, the glucose stays in the blood and some is excreted in the urine.High blood sugar is an unnatural state that can cause damage to all of the systems in your body and, if not treated, can be fatal. This is the reason your blood sugar levels, as well as the presence of “sugar” in your urine, are important indicators of where you are at in this process. Type I diabetes, also known as "juvenile diabetes," an autoimmune disorder, is not the same as Type II diabetes. Type II diabetes, which is more closely connected to lifestyle, also accounts for more than 90% of the diabetes cases that occur. Your body has an amazing ability to compensate and keep you going, even under adverse conditions, but again, only to a point. One of the problems with diabetes is that it may not show any symptoms until much of the damage to your heart, nerves and blood vessels has been done. On the other hand, if you catch it early enough, the problems can be reversible. There are some classic symptoms of diabetes, such as excessive thirst, excessive hunger, frequent urination, blurry vision, unexplained weight loss, and fatigue that you should be aware of, especially if you have a family history of diabetes. If you have any of these symptoms, it is a simple matter to get your blood sugar checked. Don’t wait for your body to give you a more alarming wake-up call. The sooner you discover that your blood sugar is elevated, the sooner you have a chance to correct it, and avoid the systemic damage this disease can cause. Getting regular eye exams can also help. Many people have discovered that they have diabetes when visiting their eye doctor to get their glasses or contact lenses checked. They say that your eyes are the “windows of your soul”, but they also can be indicators of elevated blood sugar. In other words, the blurred vision you have been experiencing may not be due to a need for new glasses, but could have a more serious underlying cause. So, now we are back to where we started. Whether you or a loved one has been diagnosed with diabetes, whether you have a family history of this disease or not, you can put yourself in the drivers seat of your health. --The first step in a diabetes diet is to educate yourself about healthy eating. Learn enough about the foods you eat to make good choices. --Eat regular meals and healthy snacks, made up of fresh, whole foods with proportionate amounts of carbs, proteins and fats. 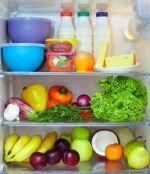 --Become food label savvy so that you can evaluate whether the products in the store aisles are worth your food dollars and will fit well into your healthy diabetes diet. --Limit or avoid overly processed food, junk food and fast food, and if you don’t know what that is, you are not as smart as I think you are. Please take advantage of all the wonderful resources available online and in your community to make the transition to a healthy diabetes diet as easy as possible. You can do it! Click here to go from Diabetes Diet page to Metabolic Syndrome page.